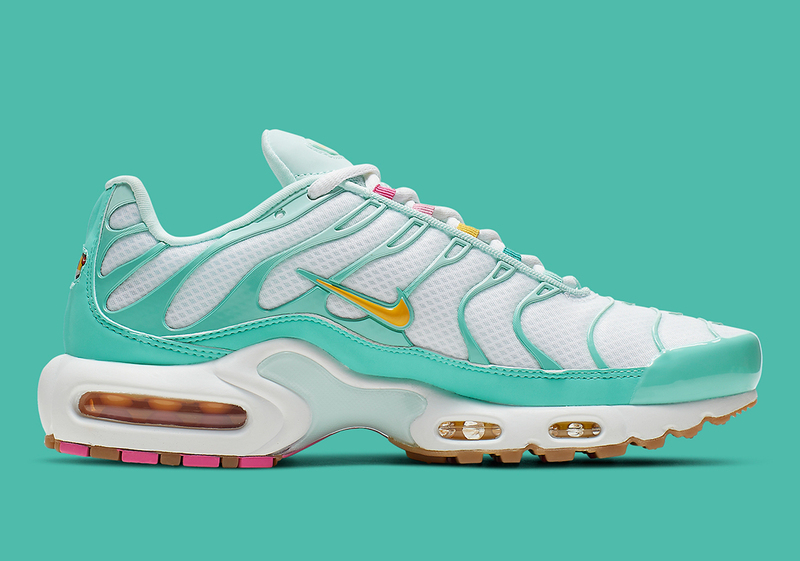 After an Easter-themed take on the Vapormax Flyknit 3.0 was recently revealed, we now have a look at another seasonally appropriate pair of Nike shoes: the classic Air Max Plus. Using crisp white tones as the base, this Plus calls upon a signature pastel palette for its accents, adorning both the mudguard and swaying overlays in a refreshing turquoise. Although most other releases of this nature seem to favor light yellows and pinks rather heavily, they’re kept somewhat light here. 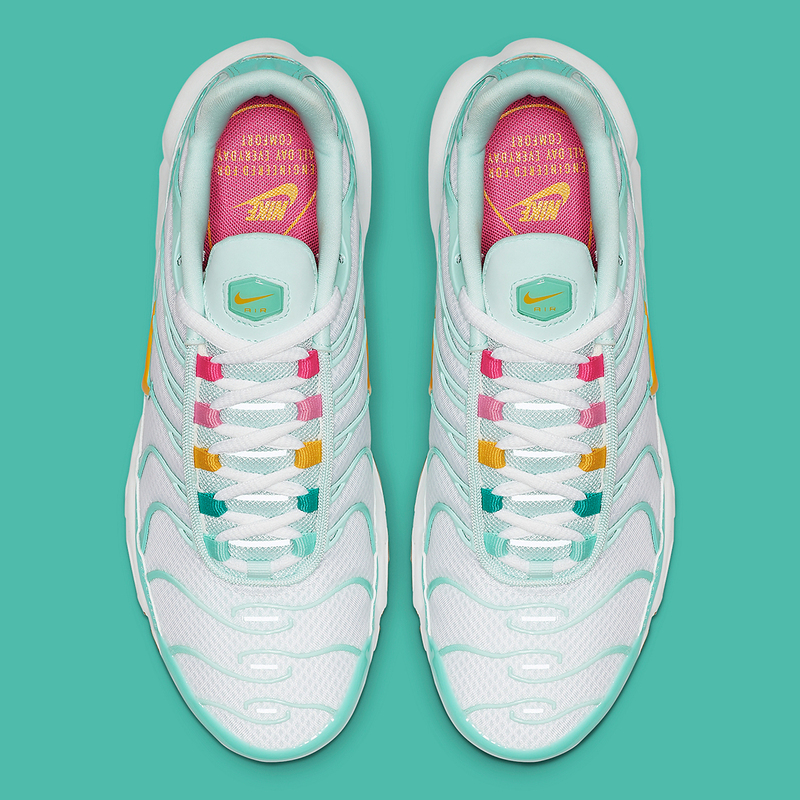 The lace loops offer an interesting gradient of sorts, starting at a vibrant pink by the tongue before moving on to a light pink, a yellow, and two turquoise tones towards the toebox. More yellow then arrives on the midfoot’s jewel Swoosh, the timeless heel badge, and the Air Max cushioning units. 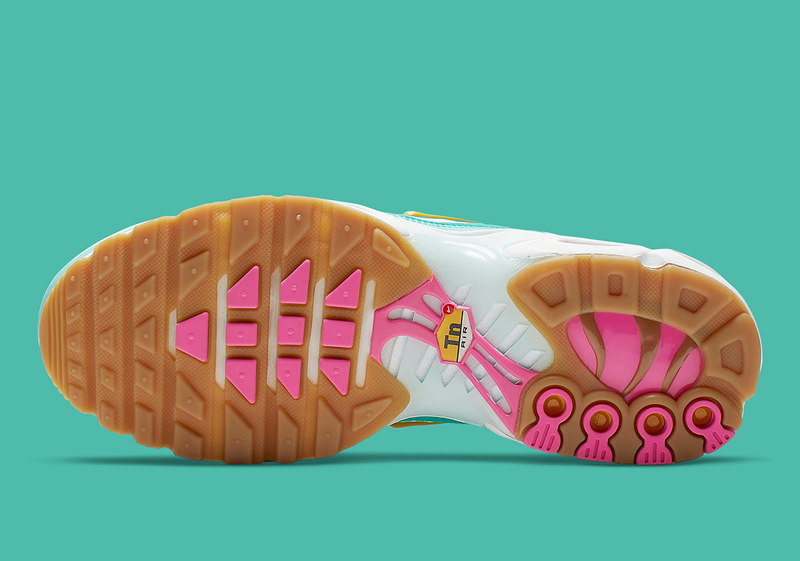 The look is then completed by a classic gum outsole. With the annual springtime celebration right around the corner, you can scoop these new women’s kicks at the retailers listed below for $160 USD. 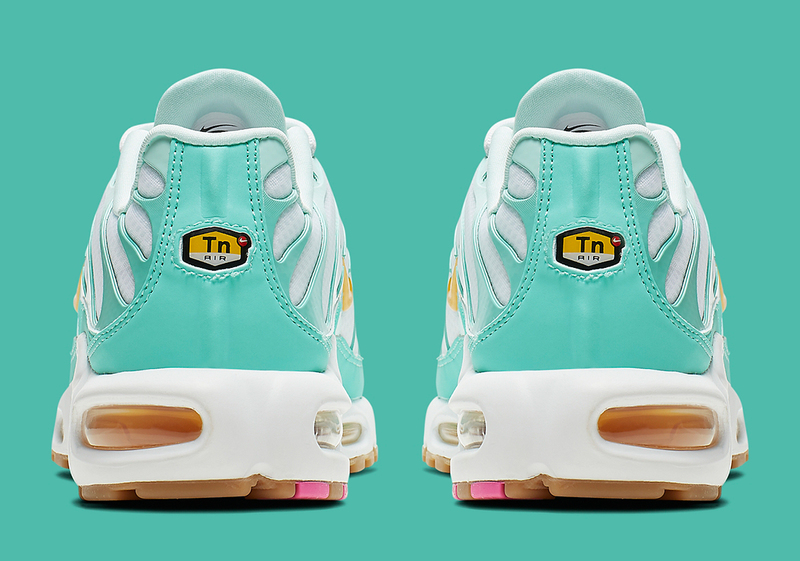 The post The Nike Air Max Plus Returns In Easter Colors appeared first on Sneaker News.